Regular maintenance will help keep your Marvin windows and doors operating smoothly. Use this checklist as an annual maintenance reminder. Weatherstrip is a resilient material designed to act as a barrier in the space between the sash and frame to reduce air and water infiltration. Make sure it is still effective. If not, contact your local Marvin retailer. 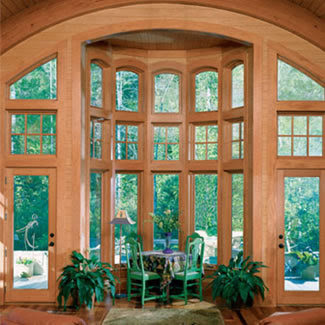 Examine the window's interior and exterior finish. Occasional repair to a damaged finish may be necessary. (SeeMaintaining Wood andPainting and Staining for more details.) Also, remember to be careful when using paints, stains and varnishes to make repairs. Never allow these solvent-containing materials to come into contact with weatherstrip. Solvents cause weatherstrip to lose its flexible qualities. Inspect the exterior caulking around the outer edges of the window frame. Trim off any old, loose caulking and seal any gaps with a good quality caulk. Check that all hardware (locks, opening mechanisms, etc.) operates smoothly. Make sure any exposed hardware screws are tightened securely. Clean any sand, dirt or dust from door and window hinges, sills and tracks. Check any energy panels and storm and screen combinations to make sure screws in turn buttons are securely fastened. Check doors for smooth operation. Wood doors require a stabilization period after installation, sometimes taking up to a year to adjust to humidity levels and other environmental factors. Use caution on ladders, and always wear protective eyewear and clothing. When working with primers, paints, stains, cleaning solutions, etc., follow all recommended safety precautions and dispose of these materials according to manufacturer's instructions.